This refrain was running around my otherwise empty head as I cycled from Ash Vale to Odiham, revelling in the glorious weather. Spotted a female Ranger working just by the Ash Aqueduct. Decided not to disturb her in her natural habitat. I really enjoyed the ride, even the detour inland around the Dogmersfield land slip and I was genuinely surprised at the overall good condition of the tow path. It was only after the Barley Mow that it resembles a jungle track and I regretted not bringing a machete or at the very least secateurs. Them nettles were high! At Colt Hill I was greeted with the lovely sight of two J.P’s, one old and one juvenile, nestled together. Ah Bless. All in all, it must be said, we have a beautiful canal. Thankfully things have been very quiet along the tow path and the odd spot of bother like suspected foul play at a Hampshire sluice, was quickly reported and checked out. A number of Lengthsmen in the Surrey sector kindly helped out with caulking up one weekend as a Ranger had suffered a painful back injury. Otherwise, I am very pleased to report that no news is definitely good news. 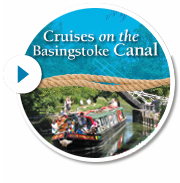 We are constantly requiring more Lengthsmen so please, if you live near the canal and enjoy the tow path on a regular basis, we could use your help please contact me at lengthsman@nullbasingstoke-canal.org.uk.